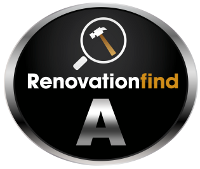 Canada's #1 Floor Coating Franchise! 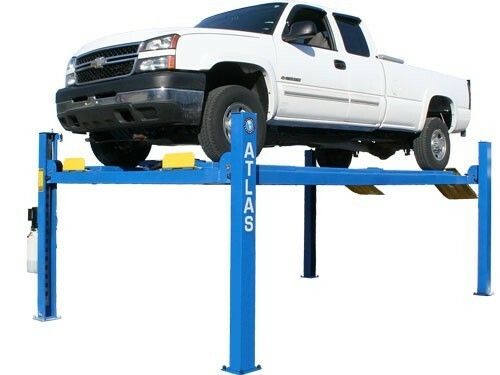 The Atlas 412A 12,000 pound capacity four post lifts are designed and built to commercial grade standards and will provide many years of service. Our Atlas alignment lifts offer many exclusive features not found on many other competitor's lifts. Each Atlas 412A alignment lift includes a set of front turntables. The turntables can be set in different positions on the runway. There is also an air line kit ($300 value) included. The slip plate package is built into the runways. Drive through ramps are available as an option. The Atlas 412A uses a high strength cable system (with a under runway oversized hydraulic cylinder) powered by a 220 volt (single phase) power unit to raise and lower the lift. Many competitors use an “old style” chain lifting system with an exposed hydraulic cylinder system. Old style chain lifts are difficult to “level” properly and the exposed hydraulic cylinder is responsible for numerous “door dings”. The Atlas 412A alignment lift incorporates a lock ladder system in each column and all four column locks are simultaneously air activated from the power unit column. The runways are bolted to the cross tubes, but can be adjusted (moved in) if needed. One pair (2) of turntables and built-in slip plates are standard with the Atlas 412A 12,000 LB. four post lift. The alignment turntables can be moved to two different positions.